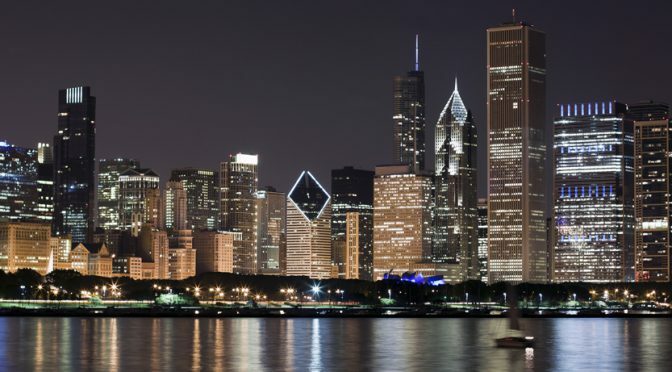 CheapOair is offering enormous discounts on Chicago vacation packages. Book Chicago vacations with CheapOair and have a hassle-free vacation. Browse through our list of various packages, and pick the one that suits your budget most. To know more, get in touch our travel experts. Book cheap vacation packages with CheapOair and spend your vacations in Chicago without creating a hole in your wallet! The global architectural capital, Chicago is a beautiful lakeside city along Lake Michigan in Illinois, US. It is a gleaming bubble wrap of several cultural attractions, sightseeing options, sporting events and superb shopping experiences. This city also wows its visitors with its remarkable outdoor public art and ranks among top 3 prolific movie industry cities after Los Angeles and New York. Chicago’s skyline is dominated by top-class museums, two thousand churches, superstructures and its largest posh shopping destination – the Magnificent Mile. There are plenty of things to do in Chicago. Plan your vacation in the city and book flight tickets with CheapOair for a hassle-free trip. Established in 1879, the Art Institute of Chicago is one of the oldest and largest art museums in the US. It is home to thousands of artworks dating back to several centuries. The museum also contains a top-grade collection of impressionist and post-Impressionist paintings, numerous historical artifacts and specimens of modern and classical art. Millennium Park is the top tourist attraction in Chicago and ranks among top 10 in the United States. Some of its highlights are the Jay Pritzker Pavilion (an outdoor concert venue), the interactive Crown Fountain, and the Cloud Gate sculpture on the AT&T Plaza. The Magnificent Mile is a posh section of Chicago’s Michigan Avenue and currently the largest shopping district in Chicago. Its landscape is dotted with a large number of retail, restaurants, museums and hotels that cater to mid and high-end shopping experiences. The Magnificent Mile is famous as the site where the tradition of lighting the trees to start the Christmas season was started more than forty years ago. Milwaukee is a popular US city located at a couple of hours ride away from Chicago. It is famous as the home of legendary Harley-Davidson motorbikes and is synonymous with German beers since mid-19th century. The city is Guinness Record holder for the world’s largest music festival (Summerfest), and is also known for its Harley-Davidson Museum and Milwaukee Art Museum. Located about 150 miles away from Chicago, the city of Holland in Michigan is known for its Dutch heritage and May-bound Tulip Time Festival. During this festival, the city is dotted with millions of tulips in the spring season and visitors are treated to a stunning show of traditional Dutch cuisines, parades, music, and dances. Another famous festival worth checking out here is the Dutch Winterfest that takes place in November. CheapOair makes it easy to find and book travel packages at great prices. Now you can save even more by booking your flight, hotel, and car rental together. CheapOair works closely with top travel brands to ensure that you get the best vacation deals possible. We offer cheap vacations & packages to the most sought after destinations around the globe. From all-inclusive vacations to kid friendly destinations, romantic and leisure travel, to name a few. Choosing the right vacation package has never been easier or more affordable. Check out some of our suggestions in the “Top Vacation Packages”, “All Inclusive Deals” or “Last Minute Deals” sections. Whichever selection you choose, you can be sure that CheapOair will get you where you want to go at a price that can’t be beat. We’re constantly updating our great vacation deals and offers, so be sure to check back with CheapOair often. Now is the time to take advantage of our best deals while they last!